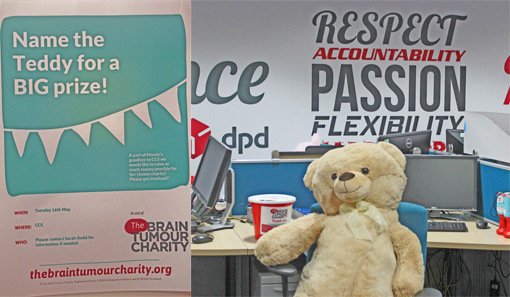 Here are some ideas we picked up on a site visit to the DPD contact centre in Birmingham. Instead of asking advisors to follow scripts, DPD instead promote six key values that they would like advisors to demonstrate on calls. 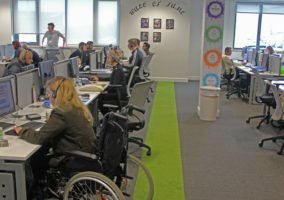 In doing so, the company encourage the contact centre team to get creative and find their own innovative solutions. 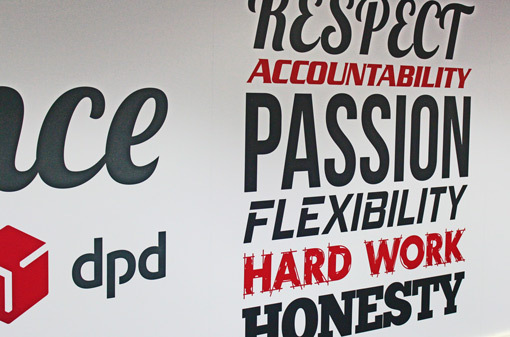 The six qualities, which DPD actively promote throughout the business and most obviously in the contact centre through wall art, include: respect, accountability, passion, flexibility, hard work and honesty. To increase advisor buy-in to portraying these qualities over the phone, the contact centre offers an incentive by presenting each individual with a card and an electronic badge each time they demonstrate a quality. This can be through customer feedback, team leaders seeing something great or high ratings on certain aspects of their quality scores. Then, once an advisor has collected at least one of each card, they are invited to a celebration lunch, given a certificate to display at their desk and given a £50 voucher. When using an older system of sending emails or using a classroom dynamic to inform advisors of a strategy update, many advisors complained about the lack of interactivity. So, DPD responded by asking the Head of Customer Services to create videos that were sent straight to advisors’ desktops, which proved a popular alternative. In fact, this proved so popular, DPD created training videos for how to use new tools that were being introduced to the contact centre, which again came straight from the Head of Customer Services. This approach was much more suitable for the advisor audience, who are mostly younger and would prefer to watch, rather than read, a tutorial. Also, as the video was posted to their online community, advisors could comment on it and openly interact with the director herself. 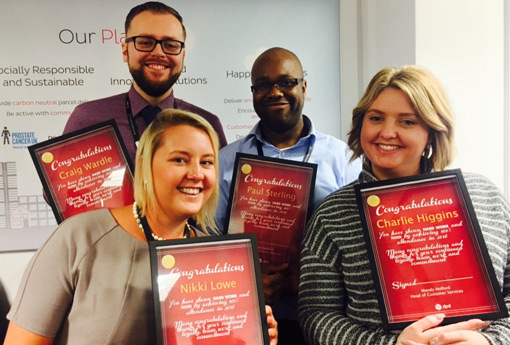 To improve communication in the contact centre, DPD developed their own community on Chatter, providing a place to recognise advisor achievements, swap shifts and much more. Each member of the contact centre team is given an online profile. They are not forced to add any pictures etc. to this but they can communicate freely with one another. This has helped to reduce email traffic to senior management (as advisors can answer each other’s queries instead), whilst providing the contact centre with a platform to make announcements and send valuable alerts to advisors. DPD started off with a Facebook group to gauge the interest of the team in creating a community page. 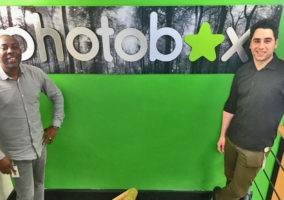 Then, once the company discovered that the interest was high, they invested in creating the online community, which has led to a real improvement in atmosphere. In fact, staff members are using the platform to form charity initiatives, dog-walking and weight-watchers’ groups, amongst others. Using this online community, DPD run polls to empower advisors, so they can have a voice in company decisions that may have an impact on them. These polls include topics such as what incentive would most interest you? This then gives advisors a chance to choose their preferred option or comment below. In addition, advisors can use a comment section below each poll to openly interact with senior management and boost that sense of collaboration. Not only does running a poll like the one above allow advisors to choose what they are striving to achieve, which increases motivation, it also breeds a culture of recognition that is central to maintaining advisor satisfaction and a strong team. DPD provide each advisor with a live feed of their quality scores, alongside their older scores from the previous year. This has proven to be useful as a self-learning and self-motivating tool. By presenting the scores of the previous twelve months, advisors can see for themselves if their performance is starting to drop and will most likely be encouraged to pick their results back up again. Also, new recruits can gain confidence by seeing their results improve after each call. In addition, if advisors are seeing a change in their scores after every call, it may encourage them to try new approaches over the phone, to see if they can further their results. Whilst quality scores are very useful in tracking performance, it is impossible for a scoring systems to see the full picture. For example, a customer may have given excellent feedback to an advisor who did not get a strong quality score in the interaction. When this is the case, managers at DPD boost the quality score and let the advisor know that their performance had been well received, by sharing the good feedback on Chatter, the online contact centre community. 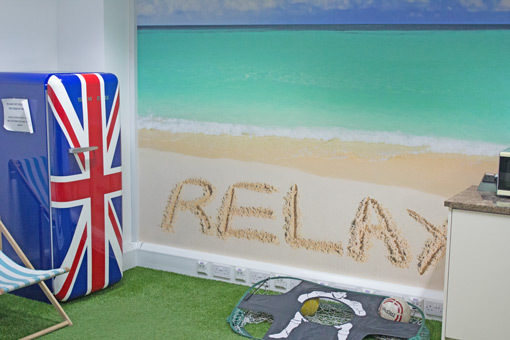 Take a peek inside the contact centre’s break room! One day, DPD’s Talent and Development Manager noticed that advisors were unsure of who to contact in certain situations and which number to contact them on. Having recognised this, DPD introduced a contact book for each advisor on their desktop. This included a click-to-dial function, saving advisors valuable time and demonstrating to them that their suggestions are appreciated and their problems will be acted on. When advisors win awards, cards and certificates, DPD also present them with a victory log. 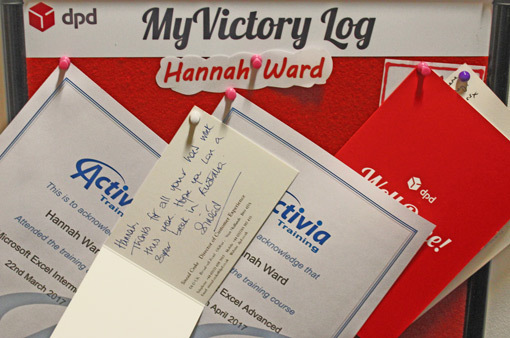 This is a board that fits at each advisor’s desk and is decorated with the cards, certificates and anything else that the advisor may choose. In this way advisors can keep track of all they have achieved during their time at the company, which serves as a reminder that if each individual maintains a high working standard they can receive such accolades again. This can be a useful motivational tool, which advisors can decorate with anything else that they choose, such as family photographs, which may also boost enthusiasm, as it reminds them of who they are really working for. DPD run their own internal management and development programmes over a twelve-month period, to help provide a visible route of job progression, which is important for holding onto ambitious advisors. However, DPD have realised that many of the team are unsure how they want their career to progress, so before advisors start a programme tailored towards a certain future role, the company hire life coaches to help them decide any future goals. Also, DPD ensure that all future job vacancies that the programme may have prepared advisors for are only open internally for two weeks, giving advisors the chance to apply before external candidates are considered. Absenteeism is a major problem for many contact centres, but seemingly not for DPD, with 39 out of the 165 advisors having a 100% attendance record last year. 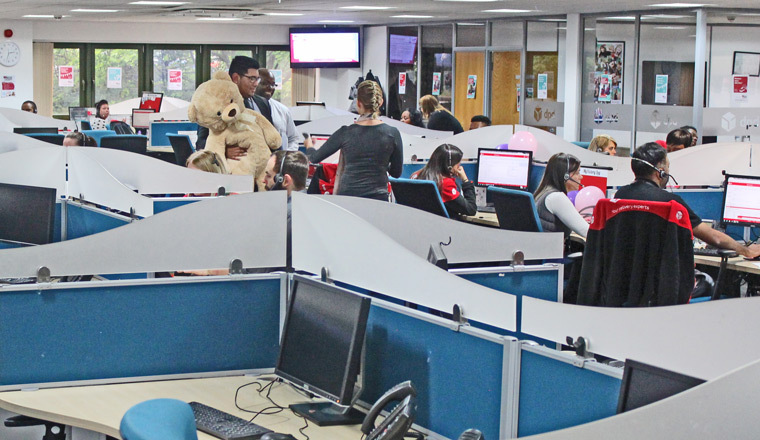 Whilst this did the job in terms of reducing absenteeism, the contact centre also reported an improvement in service level. This highlights the influence that the right rewards and recognition programme can have on the contact centre. 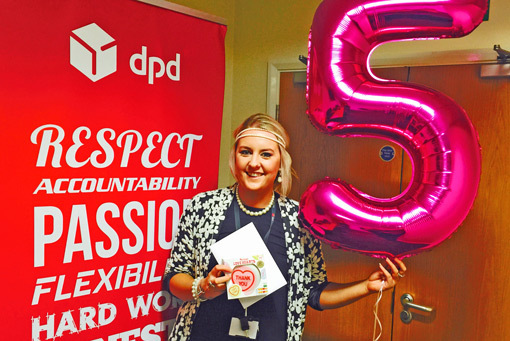 It is not just actual birthdays that DPD celebrate, but work birthdays, the day on which a member of the team first began working in the contact centre. During these days, DPD present the advisor whose work birthday it is with cards, balloons, coffee and cake to share around their small team. The idea of sharing gifts with the team strengthens the idea of community, whilst the Head of Customer Services and her team will give a speech, thanking the individual personally for their year of hard work. However, the contact centre also realises that such a celebration will not fit all, and may give a smaller thank you to quieter individuals or pave the way for an extrovert advisor to give a speech of their own. By doing this, DPD recognise advisors hard work in the way that best suits their personality, which will no doubt be appreciated by the advisor. Instead of running through the standard interview process, DPD run recruitment days. These are where the company shows potential advisors their future work environment, have group QA sessions (where recruits are more likely to ask more open questions) and see how they react in certain situations. These situations may include being asked to put a cigarette out or to park somewhere specific when arriving. Senior managers, who may take it upon themselves to manage the car parks during these recruitment days, can then take a view on someone’s behaviour and attitude prior to entering the main building. 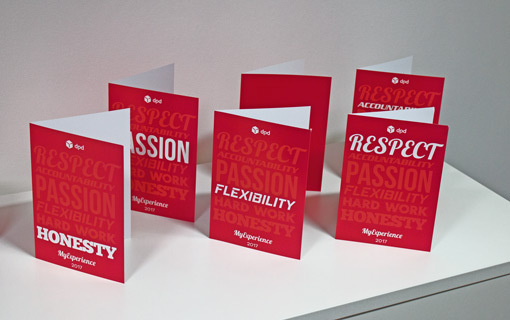 This enables the team to get a feel for the person and their values before they’ve even entered the building! However, the main focus of these recruitment days is to provide job familiarisation before hiring. Thus makes recruits aware of all the challenges associated with the roles. Whilst this may have increased drop-outs from training, DPD noticed a significant improvement in short-term attrition levels. The highest rates of attrition in the contact centre are often amongst new recruits, something that DPD recognised when creating their staggered four-week plan for new recruits. To avoid overwhelming new recruits, the company has a ratio of three newbies to one team leader/trainer throughout these key first four weeks. Over the course of this period, the targets that these advisors are given will gradually rise from 15 to 50 contacts every day, or slightly less for international calls and emails. However, if an advisor is struggling to meet the standard after this period, they will be allowed an extra week or two to help build up typing speed, confidence, rapport building or so on. DPD also have an annual awards evening for their team. Here’s some of the photos! DPD have strict 90-minute period, which starts as the working day begins, for advisors to call back customers who had called the contact centre during closing times. Whilst it is not plausible to stay open for 24 hours a day, DPD do this to provide the best service to their customers whose time schedules are out of the ordinary. 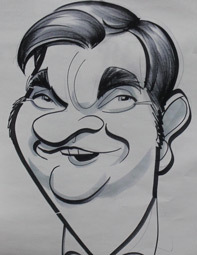 Here’s a caricature of one of the team! Whilst DPD have introduced different incentives for seasonal festivities throughout the year, such as Easter and Ramadan, their “Twelve Days of Christmas” is arguably the most innovative. 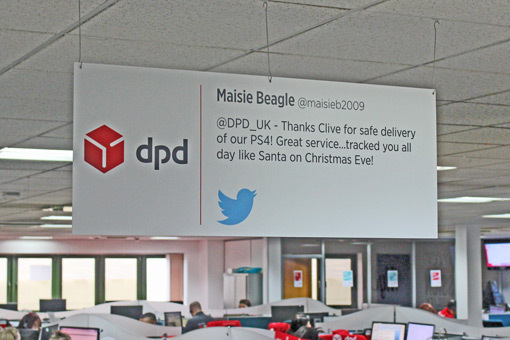 To keep advisors motivated and morale high during a period where contacts rise from around 18,000 to 40,000 per day, DPD created a new incentive for each of the twelve days leading up to Christmas. These included bringing caricature artists into the contact centre, giving specialist massages to advisors at their desks and sharing mulled wine (which was alcohol free) and mince pies, as well as much more. Thank you to DPD for facilitating our visit to their Birmingham contact centre. But what about you? 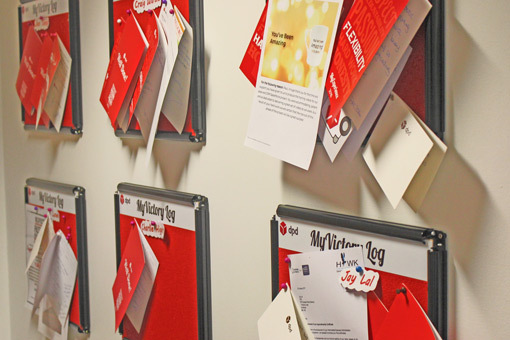 Do you fancy showing off your contact centre? If so, you can contact: newsdesk@callcentrehelper.com and maybe we will see you soon! DPDgroup moving forward to deliver the Best Customer experience in Europe!